The bench further said that it will be the director's personal responsibility to preserve the documents, and any wrongdoing will be her responsibility. Delhi HC asks: Construction stopped, workers not given funds, why? The zoo is under scanner of the Central Zoo Authority. 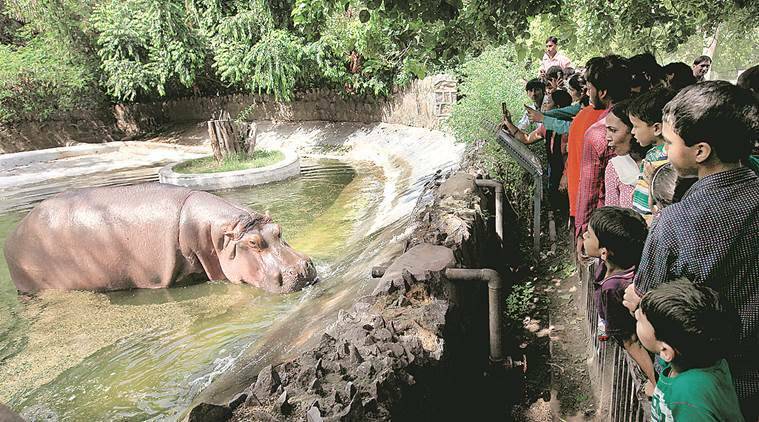 The issue of missing documents and post-mortem reports related to the deaths of several animals at the capital’s National Zoological Park (NZP) was raised before the Delhi High Court Tuesday, which asked the zoo authority to preserve and protect the same. A bench of Chief Justice Rajendra Menon and Justice V K Rao asked the zoo director to preserve the documents, after it was informed that the reports went missing just five days after the court, on May 25, had sought the zoo’s stand on a PIL alleging “rampant irregularities and illegalities” in running of the NZP. The bench further said that it will be the director’s personal responsibility to preserve the documents, and any wrongdoing will be her responsibility. It also directed the Ministry of Environment, Forest and Climate Change to file an affidavit on the steps being taken against the Delhi Zoo, which had allegedly suppressed the deaths by submitting inaccurate inventory reports and fabricated autopsy reports. The stand of the authorities was sought before the next date of hearing, October 25. The zoo is under the scanner of the Central Zoo Authority (CZA), a statutory body under the Wildlife (Protection) Act, for reportedly fudging the number of animal deaths in its annual inventory report. The issue of the missing documents was raised in a pending PIL by animal rights activist Gauri Maulekhi. Citing a letter written by Director of the NZP to the Inspector General of Forests (Wildlife), MoEF, Maulekhi said in her application that “destroying documents relevant to a case has the direct effect of interfering with the administration of justice, and ought to be prevented” immediately. The Indian Express had in May reported that zoo officials failed to record the deaths of at least 50 animals last year to show a remarkable dip in mortality rate. “The letter dated May 30/31, 2018 further mentions that the Director NZP found that no post-mortem examination report was available in the post-mortem register for the period of October 3 to 4, 2017, leaving details of the deaths that took place during that time entirely unexplained. “It was found that there were 47 blank pages in the post-mortem register for that time. Director, NZP, therefore, concluded that there appeared to be tampering and manipulation of the documents,” the application said. In 1982, the Delhi Zoo was renamed the National Zoological Park and envisioned as a model zoo for the rest of the country.